in the game than ever before. 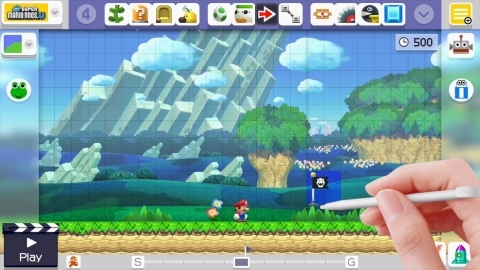 own levels, or create new levels from scratch using this feature. to place a checkpoint flag. Super Mushroom when he is small, and the Fire Flower when he is large.